At our core, Zillow Group is a mission driven company, working to improve people’s lives through the places and neighborhoods they call home. Through our social impact program, Zillow Group prioritizes being a good partner to the nonprofits we support. This means we go beyond financial support to help them make a real and lasting impact. We know our nonprofit partners are the experts on the issues they address and so we work alongside them, listen deeply, and share our expertise and resources where and when they can be most effective. The Home Project is Zillow Group’s signature social impact program addressing housing insecurity and homelessness. Our goal is to support individuals and families who are often just one paycheck, one medical event or one unexpected expense away from homelessness. We envision a world where everyone—regardless of economic circumstance—has access to the resources that can help them find a place to call home. Through The Home Project, Zillow Group has committed $5M in cash and in-kind resources to directly support the efforts of our nonprofit partners in cities where Zillow Group has offices. We are always excited to hear from people in our community. If you would like to get in touch with The Home Project team at Zillow Group to share ideas, make a connection, extend an invitation or just get to know us a little better, please email us at homeproject@zillowgroup.com. Zillow Group is partnering with a local housing nonprofit in each city where we have offices. These Community Partners are leading innovative efforts to help individuals, families and children exit homelessness into permanent housing as quickly as possible. Because we know our nonprofit Community Partners are the experts in supporting those experiencing housing insecurity or homelessness, Zillow Group supports them with multi-year, unrestricted funding, and provides in-kind, skilled support and resources to help them meet and further their goals. Below is a list of our Community Partners in Atlanta, Cincinnati, Denver, Irvine, Lincoln, New York, San Francisco, Seattle, and Vancouver. Covenant House Georgia (CHGA) opens doors for homeless and trafficked youth in Atlanta, providing unconditional love and comprehensive support so that youth can and will realize their fullest potential. Services include street outreach, a community service center, a crisis shelter, educational programs including job readiness and life readiness, and health care services. Build a sustainable, diverse neighborhood that values and benefits low-income residents. Create and inclusive community in this evolving historic district. Advocate on behalf of its residents. 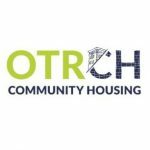 To meet this mission, OTRCH has restored 86 properties (410 housing units) and assembled a broad mix of 20+ service providers/agency partners and 800 volunteers to ensure that residents receive affordable housing along with access to health care, job services, education, faith-based services and community associations that strengthen their ability to succeed. 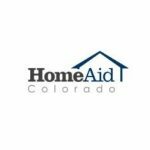 HomeAid Colorado is an integral part of the fight to end homelessness in Colorado. Their mission is to build new lives for homeless families and individuals through housing and community outreach. For more than a decade, they have developed, built and maintained homes, apartments, facilities and shelters to give Colorado’s homeless a place to call home and opportunity to build second chances. Habitat for Humanity of Orange County envisions a world where everyone has a decent place to live. Their mission is to bring people together to build homes, community and hope. We are excited to be working with Habitat and Zillow Group employees in Irvine to fund and volunteer in the building of new homes for those in need in the Orange County area. Matt Talbot Kitchen & Outreach is non-profit organization with a vision to defeat hunger and homelessness and restore hope. The organization serves the physical, emotional and spiritual needs of Lincoln’s working poor and homeless through outreach, advocacy, education and the provision of food and shelter. Covenant House New York (CHNY) has been a leader in providing residential services to vulnerable homeless and exploited youth for 45 years. As the largest provider of homeless youth services in New York City, they serve more than 1,900 young adults ages 16-24 annually. CHNY’s doors are open to all young people who need help, regardless of their race, religion, sexual orientation, gender identity or expression. CHNY uses trauma-informed principles to help homeless youth leave the streets and achieve independence. They also advocate for systemic change through public policy while promoting awareness of critical issues related to youth homelessness. U.S. VETS provides housing, employment and counseling services to our nation’s Veterans, the men and women from all branches of the armed forces who have served their country from World War II to today. With 20 residential sites and 9 service centers in 13 cities across 5 states, the District of Columbia and the territory of Guam, U.S.VETS personnel go into the local community to find homeless veterans and guide them to crucial services that might help alleviate the challenges they face as a result of their homelessness. The range of services includes housing and employment assistance, as well as access to veterans benefits and treatment for mental and physical health problems and substance abuse. 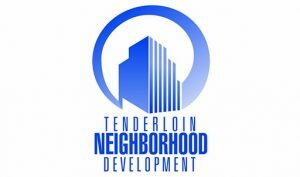 Tenderloin Neighborhood Development Corporation (TNDC) provides affordable housing and services for low-income people in the Tenderloin and throughout San Francisco to promote equitable access to opportunity and resources. We look forward to working with TNDC and Zillow Group employees in San Francisco to help our neighbors who are struggling to make ends meet with community programs and permanently affordable homes. Downtown Emergency Services Center (DESC) opened its doors in 1979 as an emergency shelter, a place for vulnerable adults living with behavioral health disorders and chronic homelessness to come in out of the cold for the night. Today their mission is not merely to offer shelter, but to end the homelessness of our community’s most vulnerable people through an integrated array of clinical services and supportive housing that allows men and women to reclaim their lives and reach their highest potential. Mary’s Place is a leading voice for homeless women, children and families in emergency situations. The organization empowers families to reclaim their lives by offering community, acceptance, hope and dignity. Mary’s Place helps keep struggling families together and provides practical tools and resources that help them find housing and employment. They inspire the community to support homeless women, children and families through advocacy, partnerships, volunteerism and philanthropy. We look forward to working with Mary’s Place. 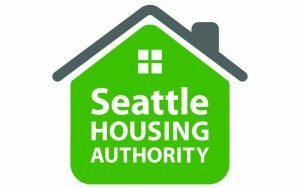 Seattle Housing Authority’s mission is to enhance the Seattle community by creating and sustaining decent, safe and affordable living environments that foster stability and self-sufficiency for people with low incomes. Our partnership with SHA will be in collaboration with a pilot program in Seattle to supplement housing vouchers to get families into better neighborhoods so that their children can experience more long-term success. 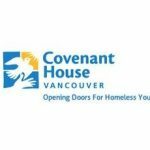 Covenant House Vancouver provides love and hope to Vancouver’s homeless and at-risk youth. The nonprofit helps youth aged 16 to 24 who have fled physical, emotional and/or sexual abuse; those who have been forced from their homes; and those who have aged out of foster care. Employees across Zillow Group can nominate a nonprofit that aligns with The Home Project to receive a $2,000 contribution and coordinate a volunteer project. Up to 24 organizations from across all offices are selected each year. Here are some examples of nonprofits that employees have championed through The Home Project. As part of our pledge, The Home Project is leveraging various aspects of Zillow Group’s business—including economic research—to raise awareness about housing insecurity and create solutions to address the unique needs of our Community Partners and those who are housing vulnerable.